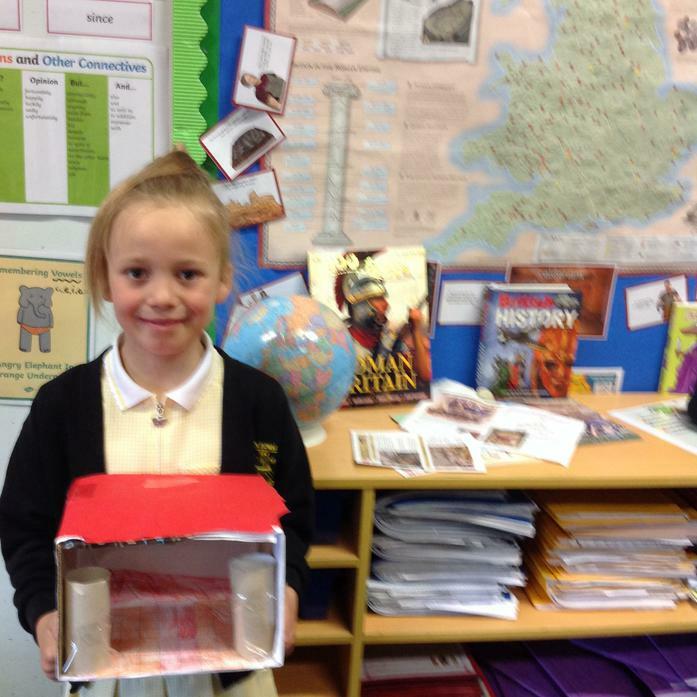 After our trip to Chedworth Roman Villa, we decided to try and create our own villas. 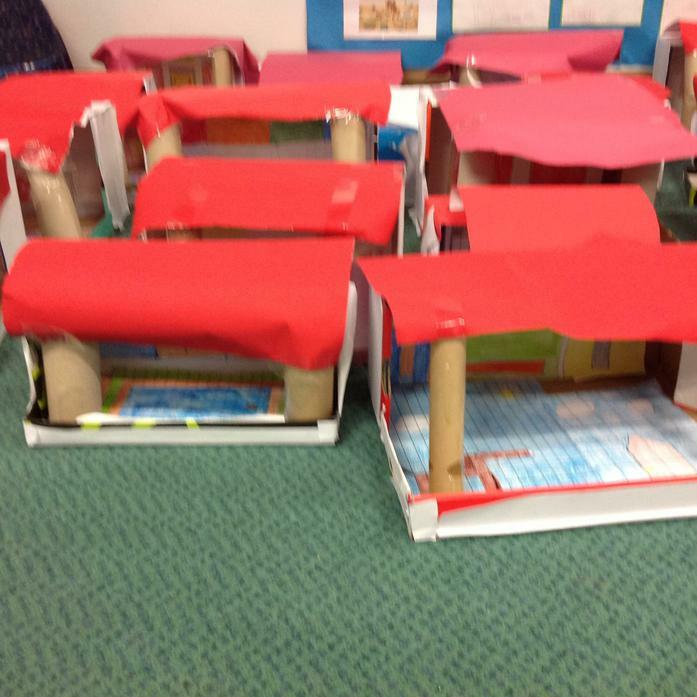 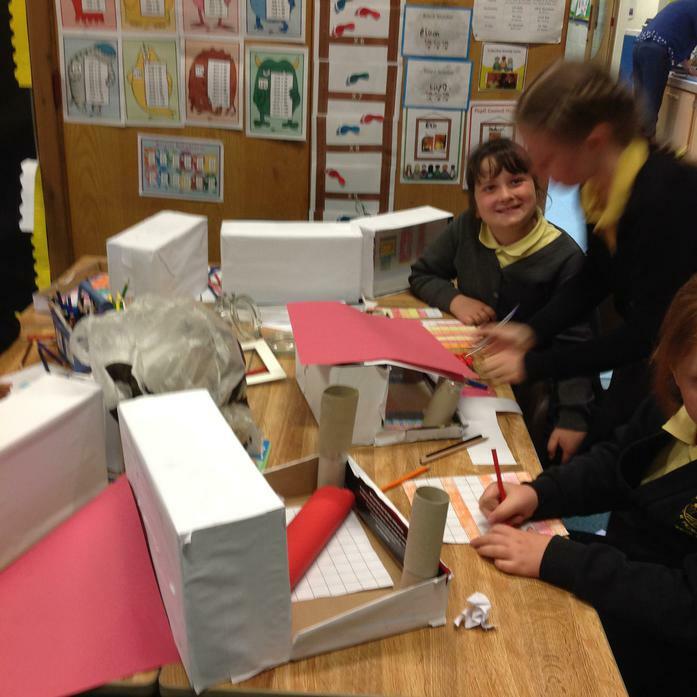 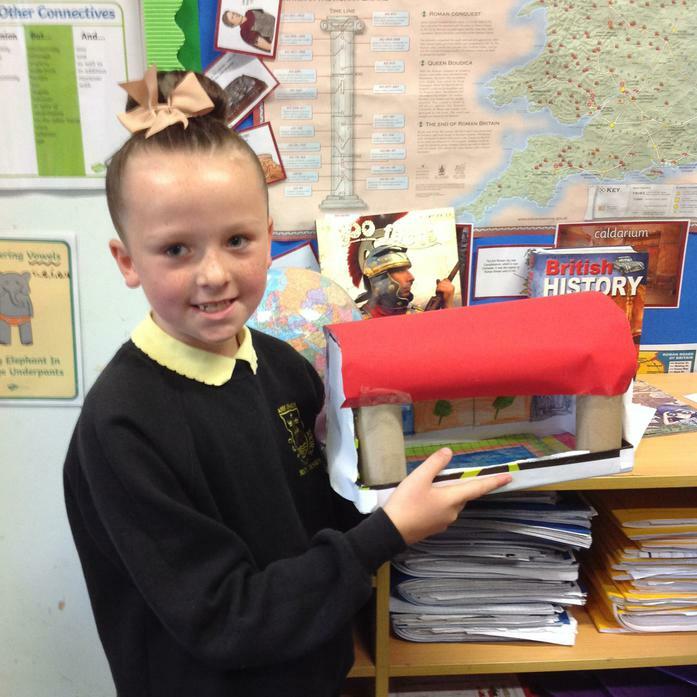 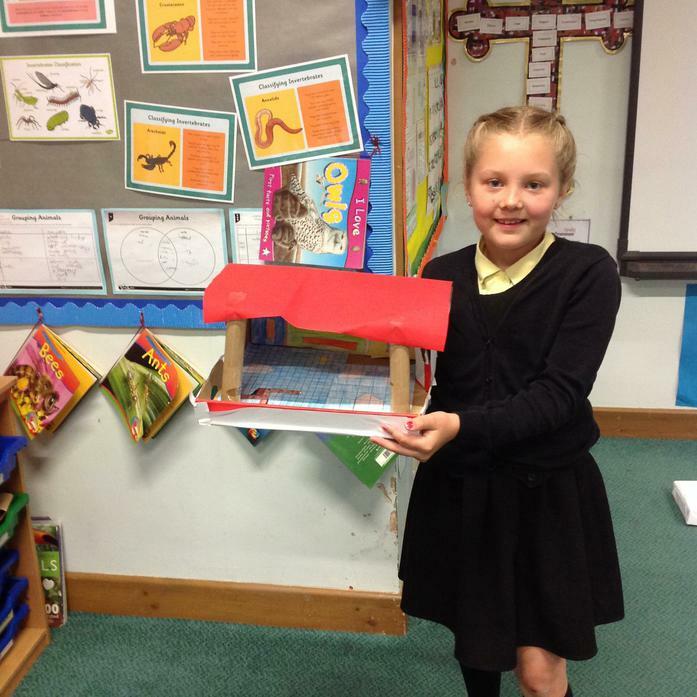 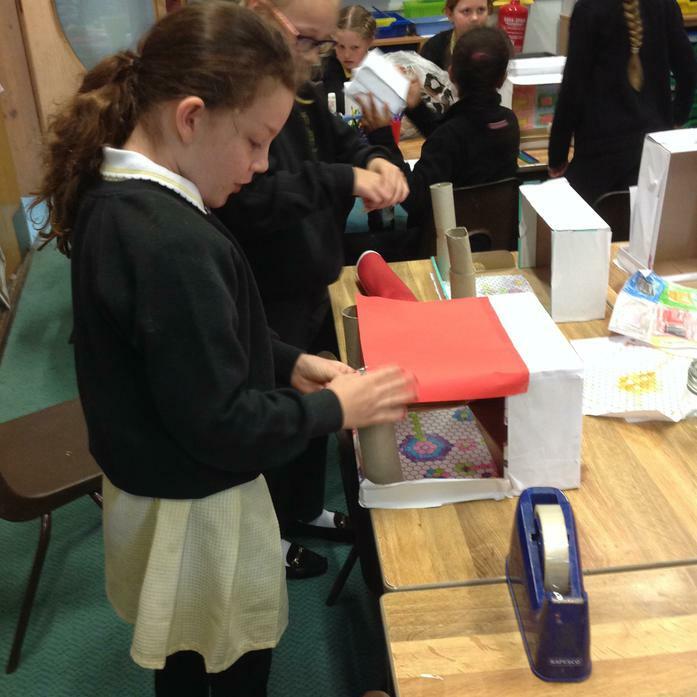 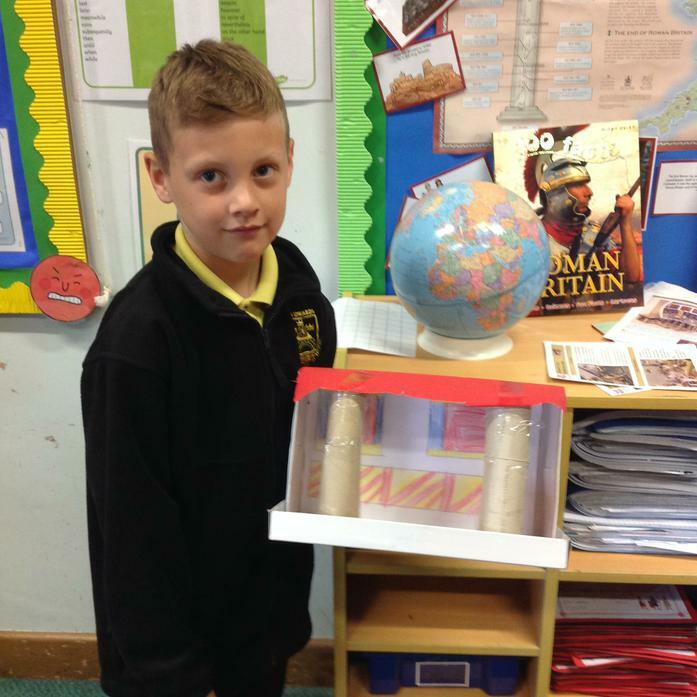 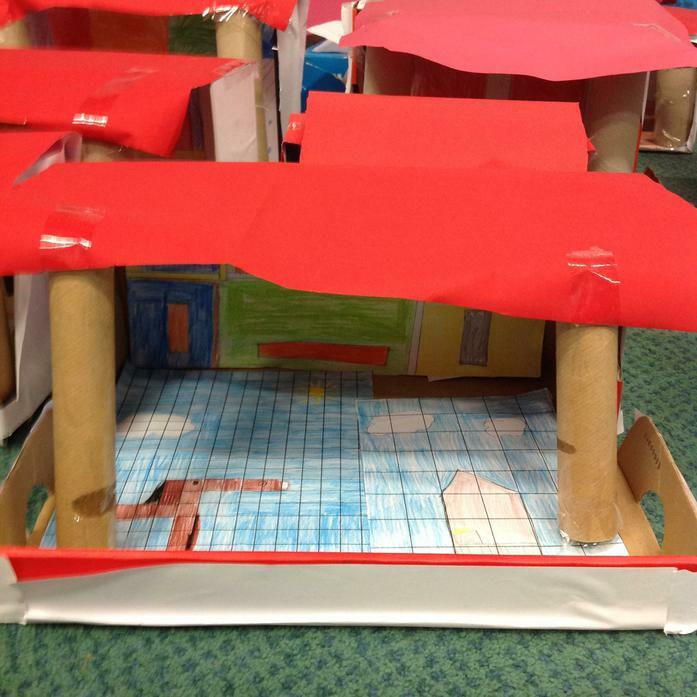 We used junk materials such as a cardboard box and rolls to create the main building and pillars. 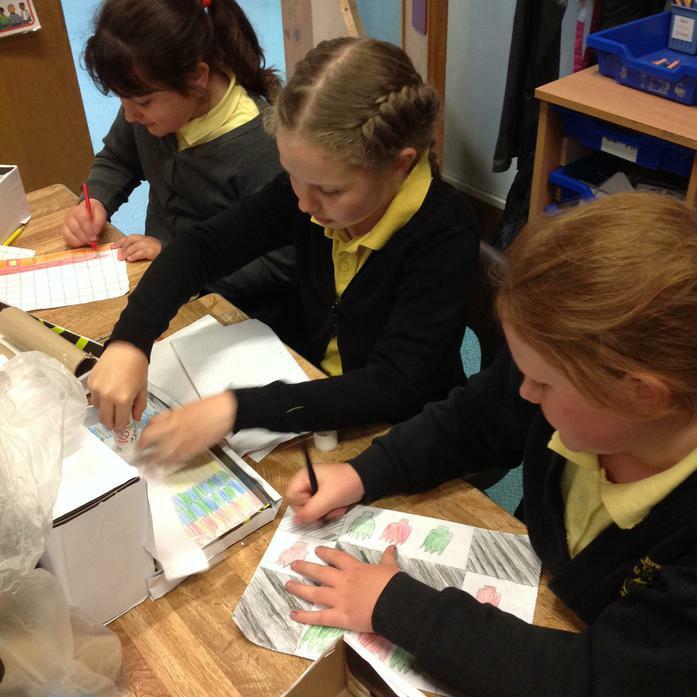 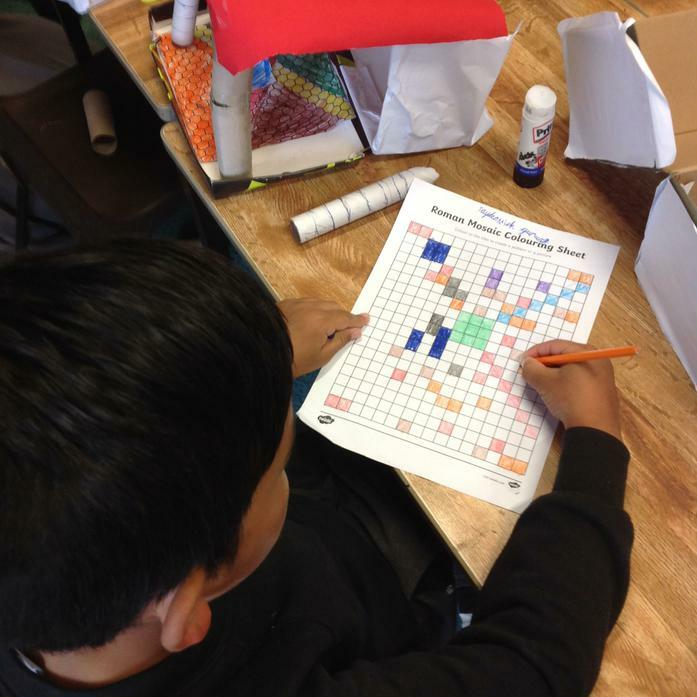 We then designed our own floor mosaics and room backdrops.